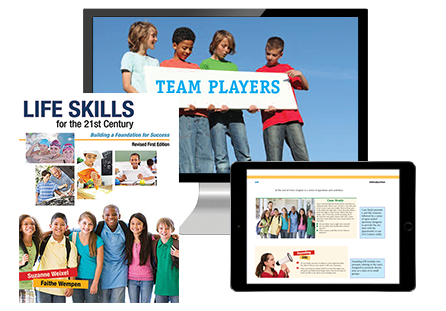 Life Skills for the 21st Century: Building a Foundation for Success is a comprehensive guide that prepares students to succeed in the five critical areas of responsible living: Home and Family, School, Friends and Peers, Community, and Work. 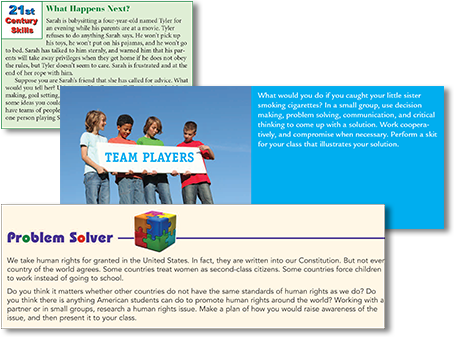 The text provides the essential tools that students need to make healthy decisions, set and achieve goals, solve problems/challenges, and use critical/creative thinking skills. It also helps students recognize and manage their resources while practicing teamwork, leadership, and effective communications. Contemporary, real-world examples encourage students to apply their skills in practical situations. Features and activities are designed to spark active learning that students can present individually and cooperatively with their classmates. 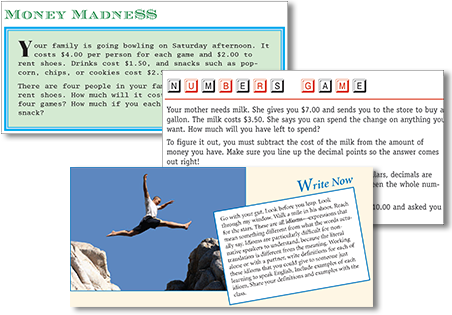 Activities throughout the book reinforce the core subjects of math, science, language arts, and social studies. 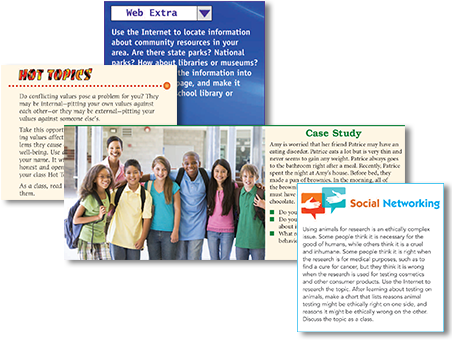 Case Studies, Social Networking, Hot Topics, and Web Extra are just a few of the features that provide students the opportunity to use 21st Century skills.